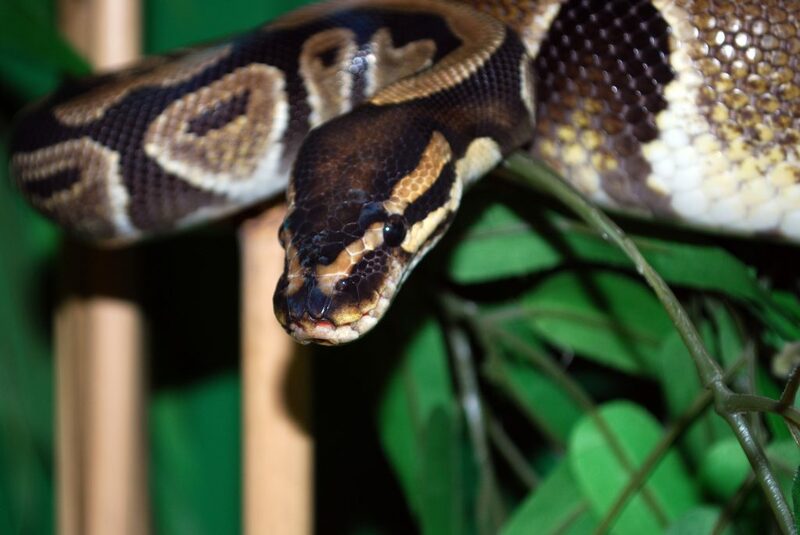 The name “ball” python comes from the fact that this snake rolls into a ball to hide and protect its head. 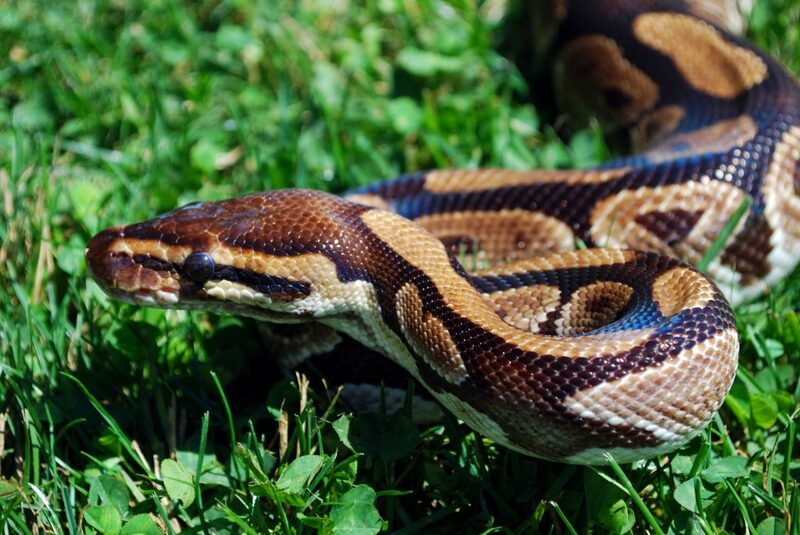 The name “royal” python is due to a legend that many African rulers were known to have worn live pythons as jewelry, especially Cleopatra. To hunt, snakes stick out their forked tongue to collect data. Once collected, the snake will insert the tips of the forked tongue into its Jacobson’s organ, where the data can be analyzed. The Jacobson’s organ interprets the chemicals such as pheromones to aid the snake with finding its next meal, or even a mate. They are well camouflaged for life in the trees or on the ground, with varying coloration on the top and bottom of their body. They shed their skin every 6 to 8 weeks to reveal a new skin underneath. Pythons are constrictors, meaning they kill their prey by coiling around and suffocating it. They are also excellent swimmers and have the ability to pump air inside their body to prevent sinking.